NLBs S-3 nozzles are custom-sized to suit your application and feature a compact design that utilizes a carbon steel orifice that is available in 15, 25, 40, and 65 degree fan patterns. Fan nozzles, while lessening the impact force of the water, do provide a wider coverage, making them ideal for the removal of softer materials. The tables below will help you identify the one you need and request a quote. 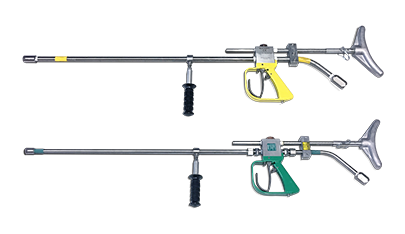 Use the first table for pressures from 1,000 psi to 10,000 psi (70 bar to 700 bar), and the second for pressures from 11,000 psi to 20,000 psi (770 bar to 1,400 bar). First, find the column heading with your desired operating pressure (its shown in English and metric) and read down to your desired flow. Then move LEFT to the Nozzle No. column near the beginning of the row and click on the Request a Quote button. Example: If you want to use 24,000 psi (1,680 bar) pressure with flow of 2.5gpm (9.46lpm), first find the column headed 24,000 (1,680). Then go down to the box that says 2.5 (9.46). Reading across to the Nozzle No. column near the beginning of that row, youll find the number S-8-1501. 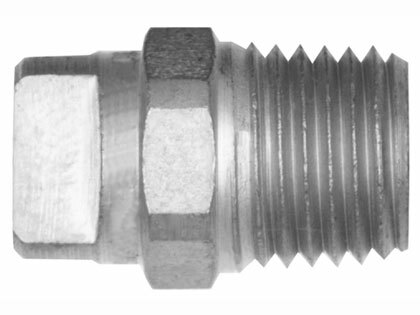 This is the full part number of the nozzle insert we will quote when you click on the Request a Quote button. The S-3 nozzle is a great option for you SRH10-77. NLB’s line moles can quickly clean larger pipes.